All of OnLive's 200 employees worked daily with the cloud gaming service's traffic numbers, and knew that something big had to happen for the company around this time of the year. That's not to say everyone expected to lose their jobs together on the same day, no severance, no benefits, no nothing. That's according to a former OnLive employee present for yesterday's meeting, at which the effective end of the company was announced. 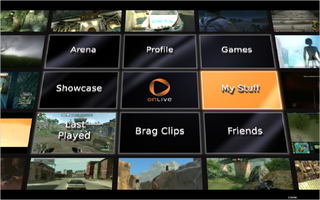 OnLive's assets have been acquired by an unnamed investor, and a statement yesterday said all of its services will continue for subscribers. The problem is, there didn't appear to be enough of them to sustain the ambitious venture. Published reports, in particular one from Joystiq, have said that OnLive CEO Steve Perlman told workers the company was averaging 1,600 concurrent users on a service with 8,000 servers requiring maintenance. While Kotaku's source didn't recall Perlman using figures that specific in the meeting, the source also didn't refute the claim. "[Perlman] had broken the news that the company had ceased to exist," said the former employee. "As soon as you hear that phrase, you kind of stop listening. You're more thinking, 'what's the state of my resumé.'" As employees whipped out cell phones to text friends or loved ones, they were told they would be receiving no severance and any stock options, if they held them, now had no value as the company was no more. Their only assistance as they find new jobs will come from public unemployment benefits. Some may be asked if they want to contribute to the transition effort the new venture will undertake with OnLive's assets, but it didn't sound like an attractive offer. They'll be paid only in stock options offered by the new company, which will have value only if it is acquired or taken public. Reaction to Perlman's decision to pursue what is called an ABC—an Assignment for the Benefit of Creditors—was mixed, said the former employee. An ABC is not bankruptcy; it's a form of protection akin to bankruptcy, albeit taken at the state level. A troubled company's assets are assigned to a third party, which allows the old company some kind of breathing room to settle its affairs without a bankruptcy trustee running things. It's not Chapter 11 reorganization (a common form of bankruptcy that doesn't dissolve the company) nor is it outright liquidation under Chapter 7 of the bankruptcy code, but it is a "destructive" end to the company, said Kotaku's source. Many had been hoping that OnLive would by now either have been acquired, or have been given a bridge loan to stay operating. Those around the watercooler knew the math: the company's annual operating costs were reasonably estimable, the revenue was likewise not a secret. "We knew something had to happen between August and September," the source said. Weak numbers and a rival's enviable acquisition sent a message OnLive wouldn't have a chair when the music stopped. Sony's acquisition of cloud gaming service Gaikai in July was spun by management as a potentially good thing, but also seemed to be a warning signal that OnLive was going to be left without a chair when the music stopped. Perlman told employees that it showed an endorsement of cloud gaming technology by a console manufacturer, and it set an acquisition price where none existed before. But it was also a blow to morale that Gaikai ended up with Sony and not OnLive, which had been hoping for one for some time. As the year wore on and OnLive's marketing and licensing teams, ones typically asking for money to sign up new releases or visit trade shows, were finding requests for travel denied, a sure sign things were going south. OnLive did send a representative to Gamescom, said the source, but other lesser, yet still important industry functions and roadshows were not attended. Kotaku's source declined to provide specific figures on what OnLive's paid subscriber base or average concurrent traffic was, beyond the fact employees were aware something needed to happen soon. In interviews, Perlman never enumerated the company's number of subscribers, but has been quoted saying it was in the millions. Industry analysts pegged it at two million. How many of those were free or inactive account holders versus paying customers is unknown. When the meeting broke up, there was the ritual exchanging of hugs and gallows humor among the laid off. "One of the things we were successful at with OnLive, there was a real community, not just in its engineering or some other team," the former employee said. "You could either get really angry or you could laugh. There was more laughter than anger, in my opinion. "People were hugging, saying, 'I guess I need a box for my things,' figuring out what bar we were meeting at, so we can go get some tequila."